Want to learn how to dive or to advance in diving in turquoise blue Caribbean waters? Then Bonaire is the right choice and perfect place for 24/7 diving! Bonaire offers idyllic learning conditions such as calm Caribbean seas, excellent visibility and an abundance of scenery. Bonaire’s instructors are among the best instructors in the world representing many countries. Multi-lingual instruction is readily available and various international certifying agencies are represented island-wide. SCUBA has come a long way through the years and Bonaire has been in-step with its evolution. Bonaire’s Dive Operators offer a huge selection of certification options. Beginning courses are offered including snorkeling, a one day familiarization course and open water SCUBA certification. Bonaire is a great place to continue with intermediate and advanced level SCUBA courses including specialties like NITROX, wreck, navigation or night diving. Dive leader training such as dive master, dive control specialist, assistant instructor and full instructor training are also available. For the more adventuresome and meticulous divers, courses in Technical Diving such as Extended Range, Decompression Procedures and Tri-mix are offered. You can also check the PADI website: www.padi.com/scuba or NAUI website: www.naui.org for more information for online dive course certification. Bonaire has a variety of options for kids interested in the sport of SCUBA! Some of Bonaire’s dive operators teach various programs that allow children, as young as 10*, to discover the beginnings of SCUBA. Through confidence and skill building, youngsters are able to tap a life-long passion for the aquatic environment. Full snorkel certifications, one day intro to SCUBA classes, junior and full open water certification are continuing options. Diving is a sport that the whole family can enjoy together. *Age and skill requirements vary by certifying agencies and individual Dive Operator standards. Refer to Dive Operatorsfor individual menu of courses. Technical diving is diving beyond the recreational SCUBA diving limits in both depth and time. ‘Tech’ divers use various techniques, equipment configurations, and gas mixes to help manage the increased risks associated with this type of diving. Technical diving in Bonaire offers both the novice and experienced tech diver a multitude of excellent dive sites including the world famous ‘Windjammer’. Bonaire’s technical diving operators on the island offer numerous diving courses taught by instructors who have been in the industry for years. Bonaire’s dive operators offering Tech diving have rental gear and gases available. Check with Bonaire’s Dive Operations for more details on Technical Diving. For more information about the Recompression Chamber on Bonaire, please visit:	www.bonairehyperbaric.com. Freediving is a form of diving that requires the diver to breath-hold (also known as Apnea) and offers another exciting way to explore the underwater world of Bonaire. 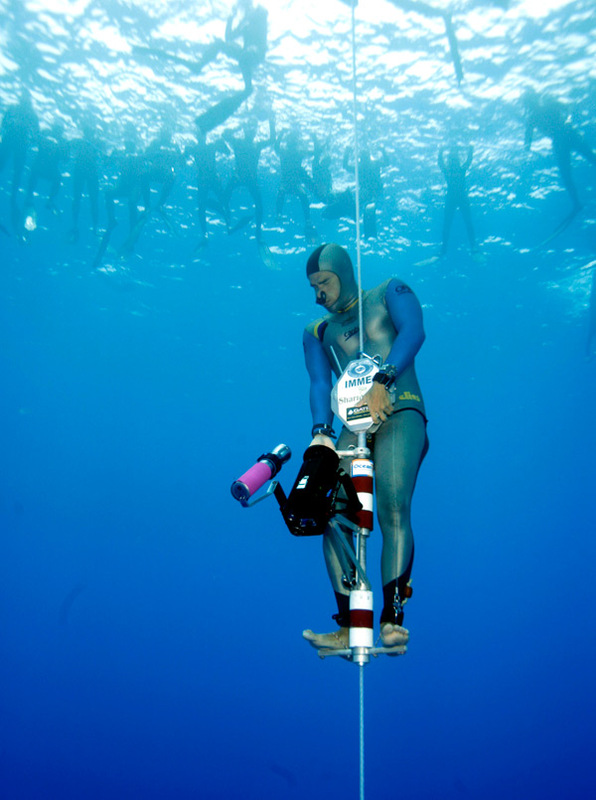 Freediving can be practiced both as a recreational sport whereby divers enjoy the peaceful, aquatic environment and interact with their surroundings or, more recently, competitively as a sport in both team and individual based competitions. Regardless of being a beginner or an accomplished free diver, Bonaire’s knowledgeable dive operators offer education and training and provide the tools to help free divers improve their skills and move to the next level. Check with Bonaire’s Dive Operations for more details on Freediving. Bonaire also offers dive courses for people with a disability IAHD (International Association for Handicapped Divers) for more information click here.